THE INSTITUTE PRESENTS CHRIS SAUNDERS/SOUTH AFRICAN SHOWCASE The Institute gallery is delighted to present South African photographer Chris Saunders. Chris Saunders is a South-African born photographer and documentary film maker who cut his teeth in the advertising and fashion industries in Johannesburg. In 2010, he won a year-long residency at Fabrica, Benetton's Creative Research Facility in Italy, where he worked on two issues of Colors magazine, as well as various video and photo projects. He has also worked for top editorial and advertising clients including Dazed&Confused (UK), Good Magazine (USA), L'Officiel (Paris), Ogilvy, TBWA and BBDO. He also runs a fashion blog âTeam Uncool' and has collaborated with many fine artists around the world. 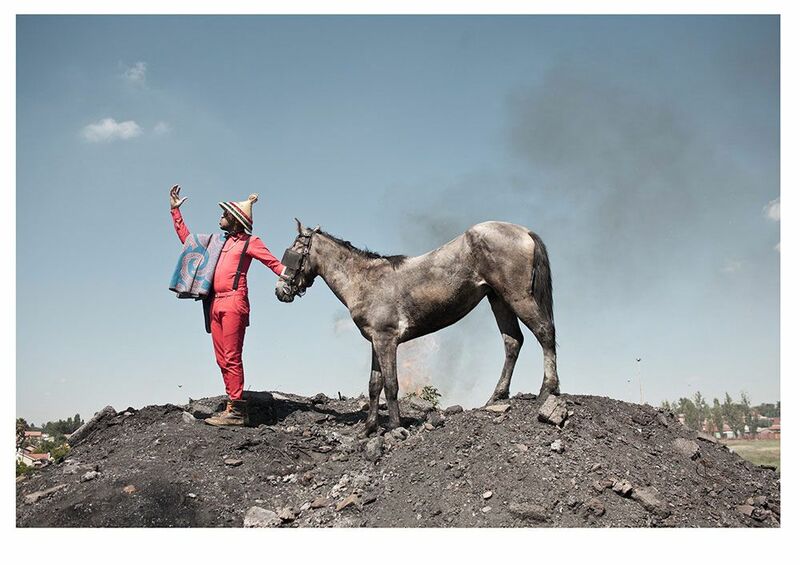 This exhibition of Saunders' new work, and his first-ever Scottish exhibition presents âS'PHARA PHARA', a photo essay documenting The Real Action Pantsula Dance Crew from Orange Farm township in Johannesburg. S'Phara Phara is derived from the constant rhythmic knocking sound trains make when riding over railway sleepers, and has been adopted to describe the sound dancers' feet make during Pantsula. Originally associated with South African gangsters called tsotsis, S'Phara Phara dance is now a major part of South African street culture. The Real Action Dance Crew's energetic interpretation of S'Phara Phara has seen them perform around the world, and also at the opening ceremony of the 2010 FIFA World Cup. In this exhibition, Saunders goes into the heart of Orange Farm to investigate how this collective, now in its third generation, has transformed the lives of its members through dance. His images uniquely reveal not only the energy of the Pantsula style, but also the colourful vibrancy and vitality of township culture. The event will also feature his unique images of the The Smarteez Fashion Movement, a vibrant fashion design collective from Soweto, as well as portraits of the inimitable producer/rapper/DJ Spoek Mathambo, who has wowed electronica and hip-hop audiences worldwide. Spoek has also collaborated with Bavarian beatmeisters Schlachthofbronx and opened for slam poet Saul Williams. Chris' reputation has given him access to prominent acts from the African continent including Angolan superstar Cabo Snoop, electro dubstep duo Dirty Paraffin and key exponents of Shangaan Electro- the Tshetsha Boys.